Remember when you were told that eating sweets before dinner would spoil your appetite? I'm not really sure if it ever did. If my memory serves me right, I've downed the occasional donut or ice cream before a meal and nothing was worse for wear. So while we were heading to the County General for dinner, we stopped off at Kekou Gelato for a "palate cleanser". I'm sure my kids will now grow up thinking that dessert before a meal is perfectly acceptable. 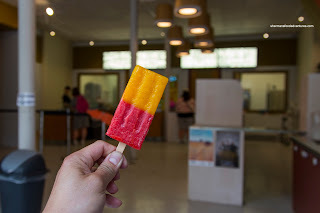 My daughter tried their Strawberry Mango Popsicle and it tasted as vibrant as it appeared. The colours were no illusion as the strawberry tasted like actual pureed strawberries. Well because they were! Same with the mango as it was sweet and impactful. Texturally, it was frozen yet still soft enough to chew without being too icy nor unnaturally sweet. 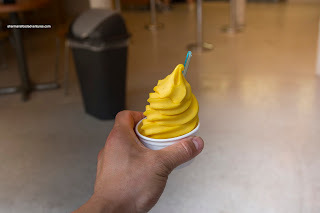 For Viv, she had the Mango Soft-Serve which was creamy and rich. Best of all, it tasted like actual mango with the sweetness and pungency of a ripe one. This was indeed a nice palate cleanser before some fried chicken (at the County General). 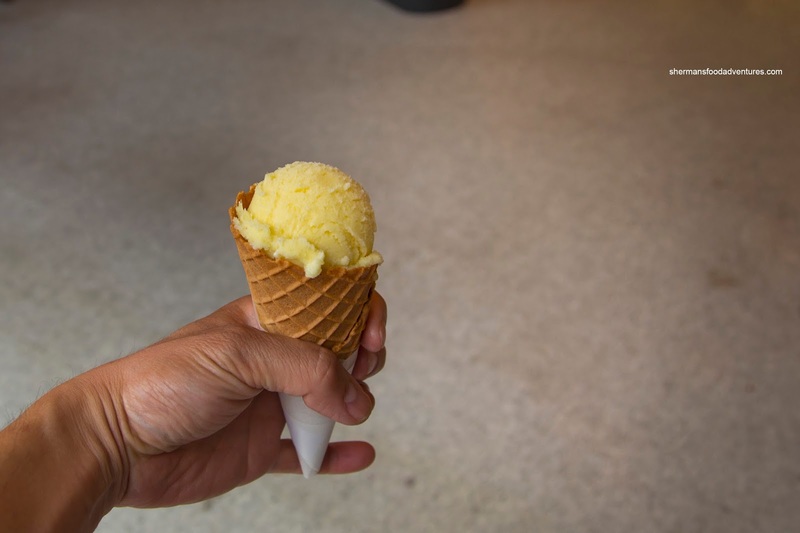 For myself, I had a scoop of the Salted and Spicy Pineapple Sorbet in a waffle cone. At first, the flavours confused me, but as I ate it, the spiciness fed off the sweetness of the pineapple to create a "gingery" affect. I liked how it wasn't overly sweet while the crunchy waffle cone added crunch. Yes, this was a strange combination that worked for me and yep, a great palate cleanser. 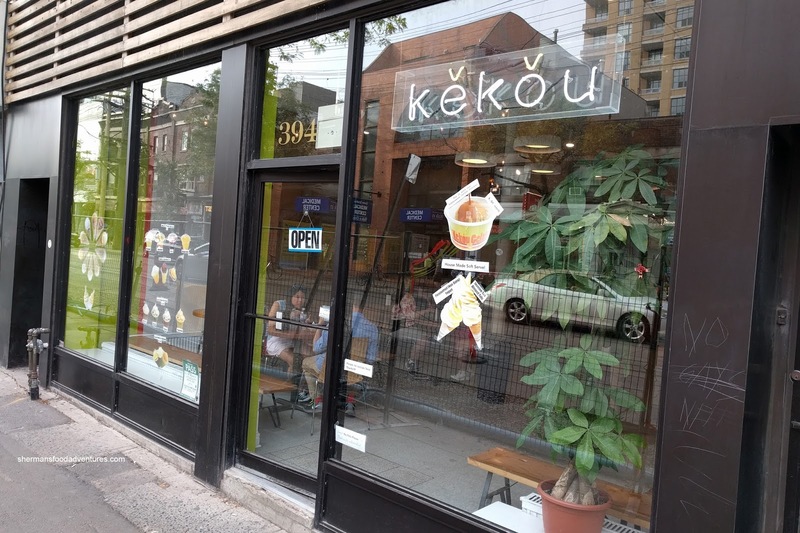 So dessert before dinner is completely acceptable, especially when it is light and refreshing as the treats we had at Kekou. Better yet, something that worked on a warm day too.